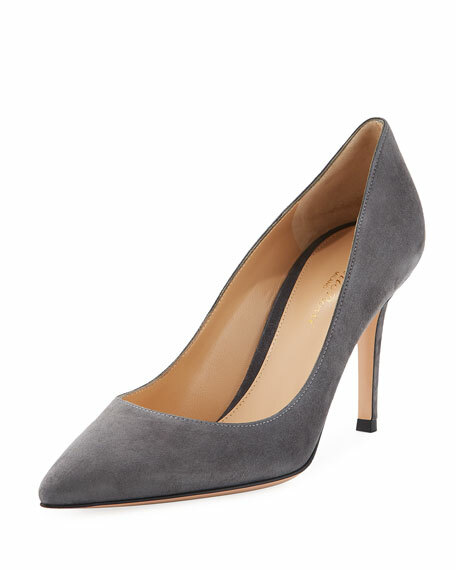 Gianvito Rossi "Gianvito 85" suede pump. 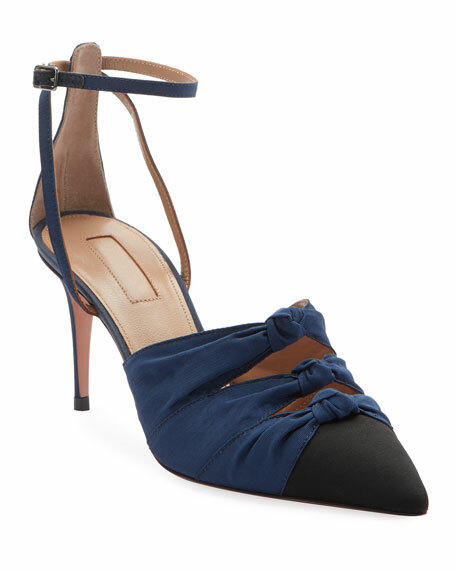 "Gianvito 85" is made in Italy. 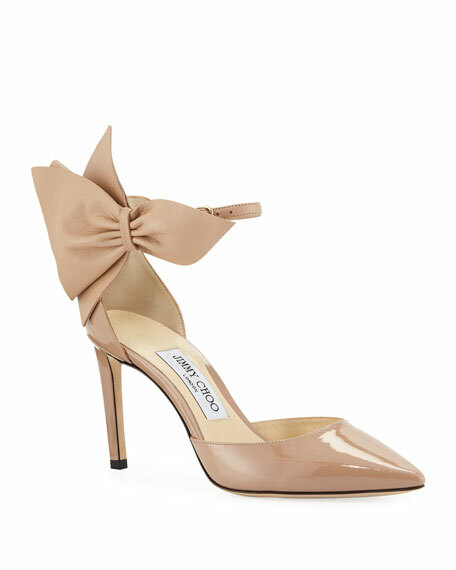 Jimmy Choo patent leather pump with leather 3D bow. 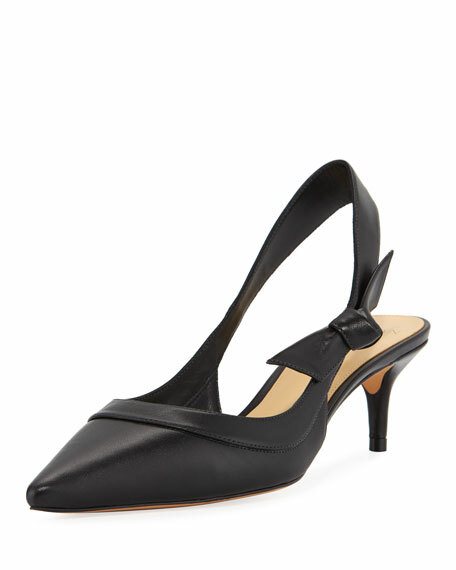 3.3" covered stiletto heel. Pointed toe. d'Orsay silhouette. Adjustable ankle strap. Leather lining and sole. "Kathrine" is made in Italy. Off-White neon snake-print leather pumps. 4.3" covered stiletto heel. Pointed toe. Crisscross strappy upper. Tabbed ankles trap with logo lettering. Leather lining and sole. Made in Italy.